The Tax Lady : Not So Great Expectations: Are You Setting Your Employees Up For Failure? Not So Great Expectations: Are You Setting Your Employees Up For Failure? As employers, we invest a lot in our staff, and in return, expect a lot from them. 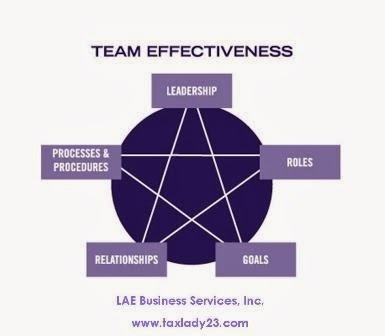 From following company policies, procedures, to effectively completing assignments and job duties; in order to be successful, it’s imperative for every member of your team to comprehend exactly what’s required of them. If your employees don’t understand your expectations, how can they be expected to achieve them? Make sure you’re not setting your team up for failure with these two common blunders. When it comes to expectations, communication is key. Without a good understanding of what you require of them, at some time or another, your employees will not meet your expectations, which could lead to productivity, profitability, and morale issues for you. Take time to make sure every member of your team understands their job description, key duties, goals, and the role they play in your company. If you have specific expectations for a project, communicate those expectations clearly and concisely. By asking for their feedback and questions you are able to ensure everyone’s on the same page. If the expectations set for your team are unrealistic; your employees could be doomed from the get go. Making sure the goals, projects, and deadlines you establish are realistic and attainable. A great place to start is by making sure your individual and company goals meet the "SMART" goals standard by being specific, measurable, achievable, relevant, and timely. It’s crucial to ensure your employees have the skills, experience, and tools they need to complete the projects you assign. For the most part people come to work with the desire to succeed. No one likes to fail and your team will stand a better chance of flourishing at work if you set these clear, realistic expectations from day one.